Brian and Karen Rowe were backyard sugar makers in New Hampshire, a tradition they continued when they settled in Worthington, Massachusetts. They began on a small scale, using the syrup themselves and giving it away as gifts to family and friends. Years went by, and both the sugaring operation and the family grew. Their kids, Katlyn and Caleb are now an integral part of the business at High Hopes Farm. Today, High Hopes Farm taps as many as 4,000 trees with more than 20 miles of sap lines strung from tree to tree, bringing the sweet sap by gravity to the sugar house. 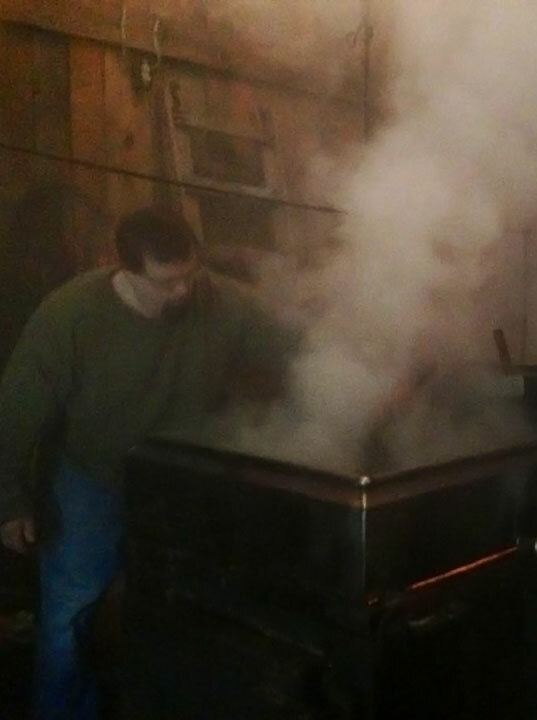 Collected in storage tanks, the raw sap is then transferred to a wood-fired evaporator which produces the highest quality maple syrup available.